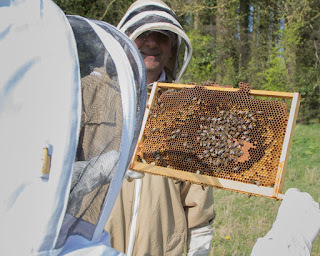 So 30/03/19 dawned bright and beautiful and at last gave us a chance to inspect the bees on the district apiary. Due to when we collected the bees this was the first chance we’d had to have a good look through them and assess their temperament. wintered and if the queen was laying. perfect and the buzz content. in both hives in all stages. 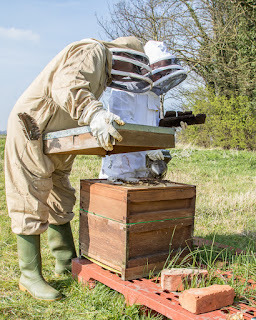 There were a few issues with the brood boxes as there were too many frames and a couple of super frames in some so we had a good sort through and took out the extra frames and replaced the super frames with standard brood frames. There was a lovely smell emitted from the hive and the bees remained calm throughout. 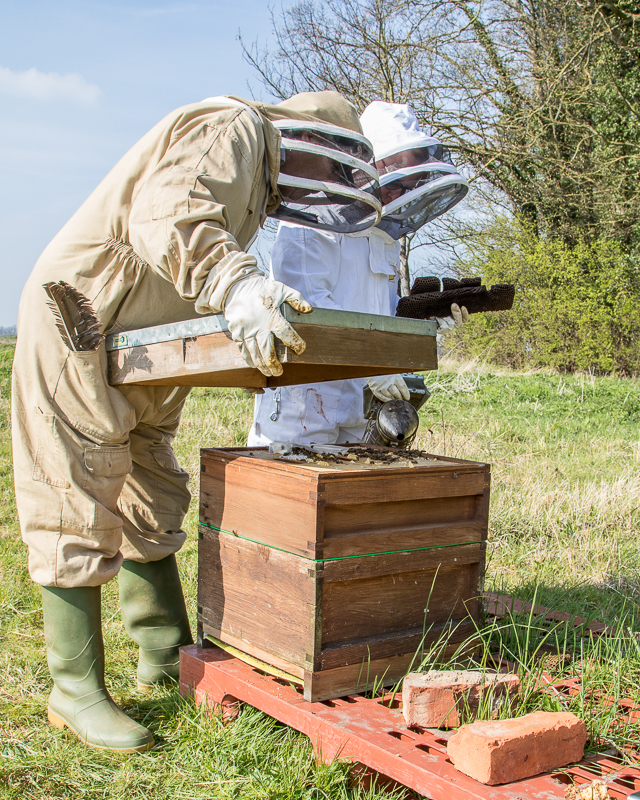 The hives are wooden Nationals on standard brood. 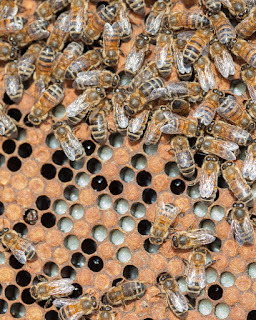 The queen excluders were put on the hives to keep the queens laying in the brood box and the hives number marked 1 and 2. Records of the inspection were written up after inspection was finished. Some frames need switching out and we will do this in due course over the summer months. 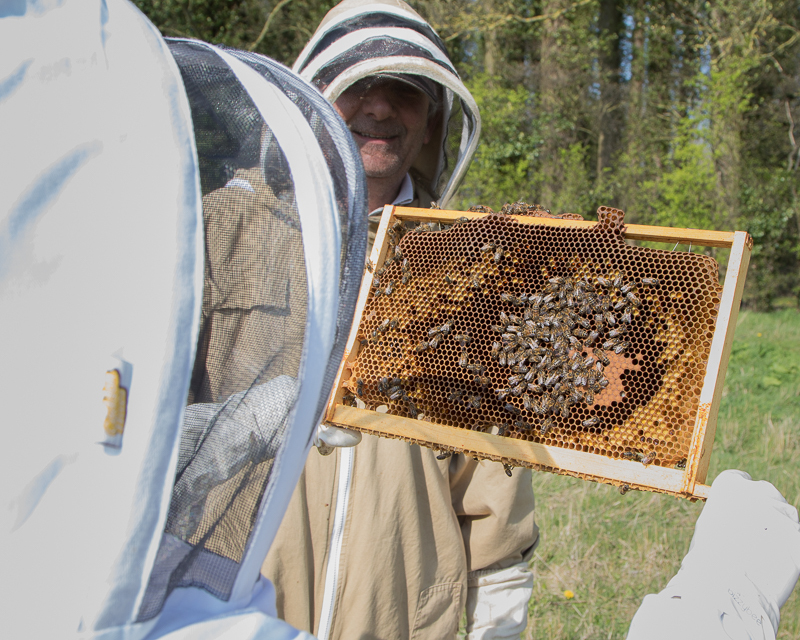 In short, we couldn’t have asked for nicer bees to show to our course attendees and members over the summer. 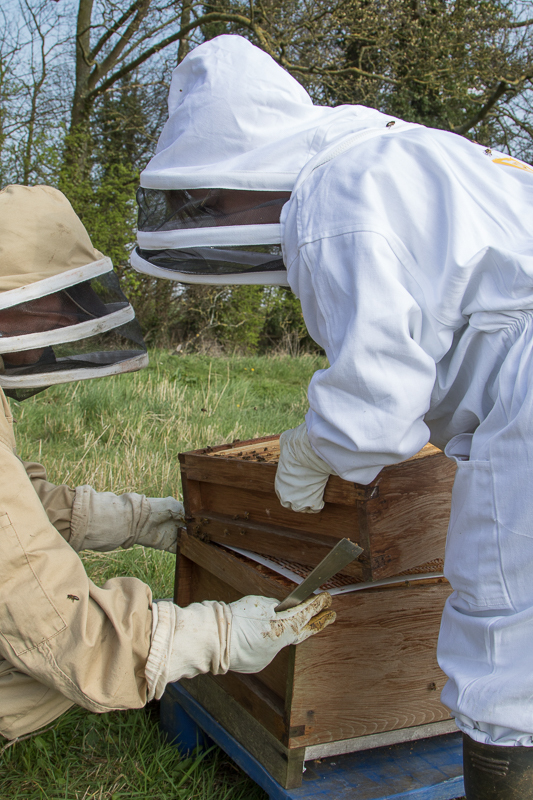 Now we just pray for some nice weather so the bees can get out regularly and collect there nectar and pollen!! 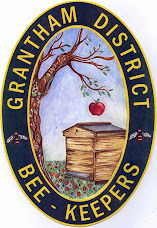 Grantham Beekeepers. 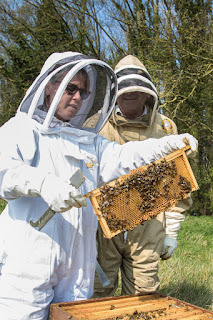 As a member of Grantham District Beekeepers I was inspired to write a blog, not only for our members but everyone in general. 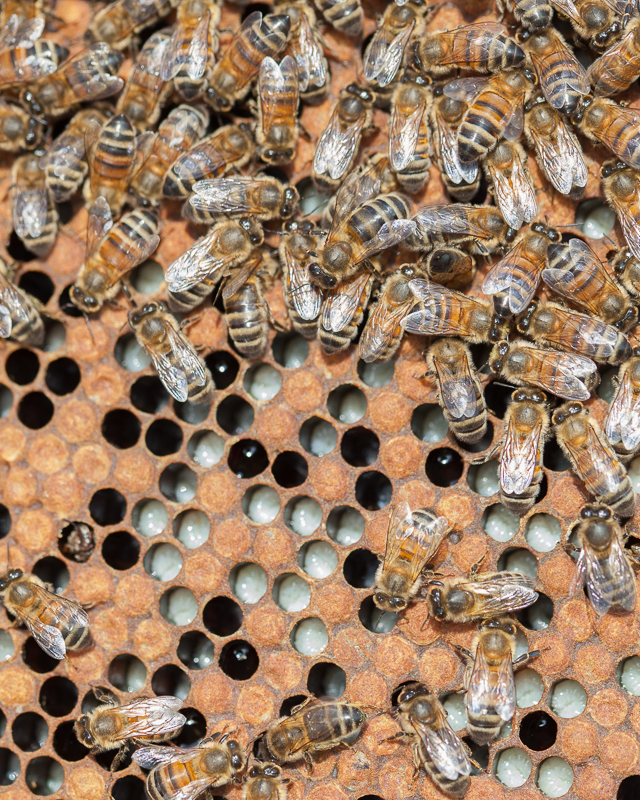 If you have anything you wish to share be it directly or indirectly related to bees then I would love to hear from you. Together we can spread knowledge and experience far and wide...I hope you enjoy my ramblings!